I spent a delightful Friday afternoon enjoying Wine, Women & Shoes, an annual fundraiser and "girls day out" that helps Gleaners Food Bank combat hunger in our community (did you know that 8 out of 10 Indianapolis Public School students receive free or reduced school lunches?) The cause was noble; the wines were wonderful; and the shoes were spectacular. 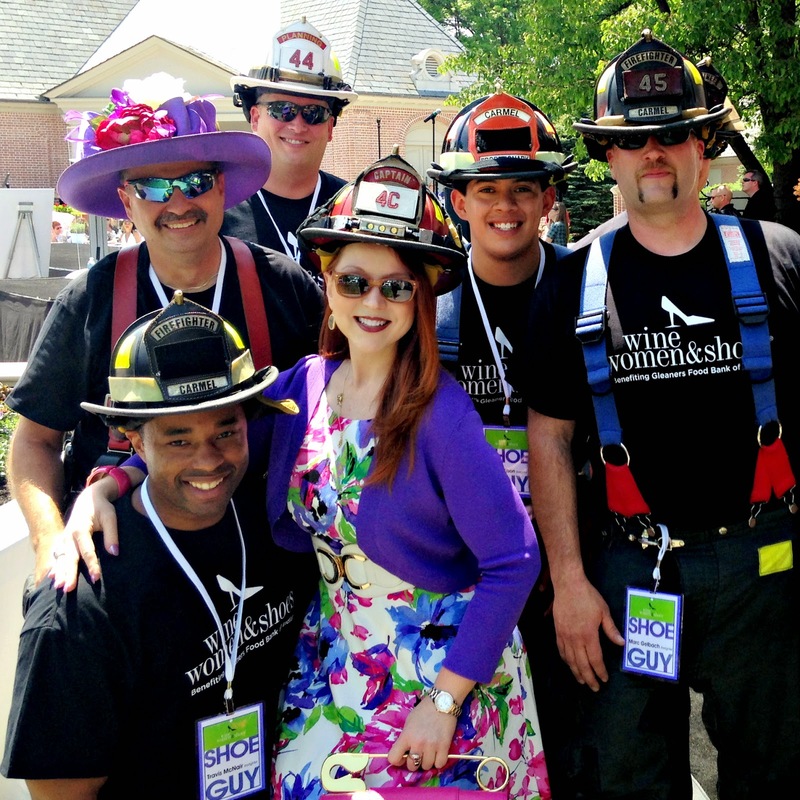 There were also firemen and a host of handsome "sole men" on hand to dole out drinks, hors d'oevres and other delights. Many thanks to the Carmel Fire Dept. for supporting Gleaners at Wine, Women & Shoes, not that they minded... 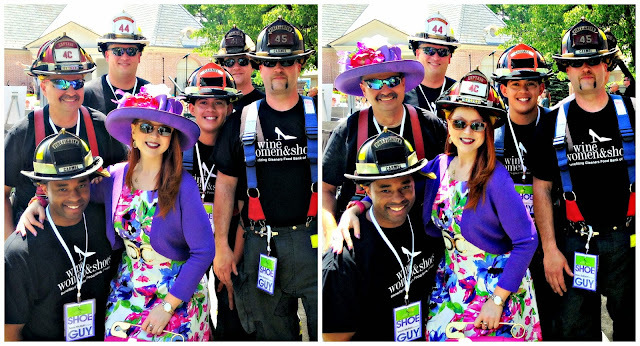 I think I'll stick with my own hat, though - those firefighter helmets weigh a ton! I thought my blog post about the event would focus on the parade of high-stepping heels (this is, after all, a footwear focused fashion blog). And there were firemen. Did I mention there were firemen? Yet, a fortuitous typo in the Indianapolis Star and an unexpected text the following day shifted my focus from fashionable footwear to the wonderful collection of women in attendance. 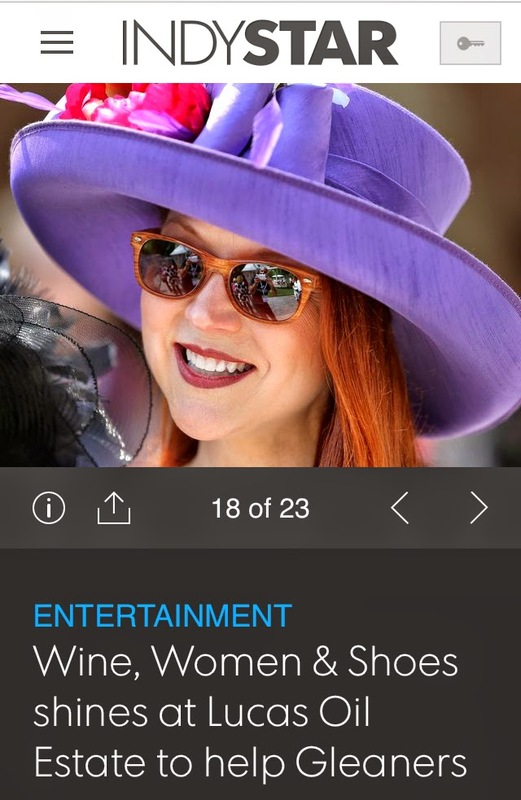 The caption for the photo by Matt Detrich, below, on the Indy Star website reads, "Jody DeFord of Indianapolis sported her people hat during the annual Wine, Women and Shoes luncheon held at the Lucas Oil Estate benefiting Gleaners Food Bank of Central Indiana on Friday, May 15, 2015. The event featured wine tasting, auctions, fashion marketplaces and a fashion show created for women who enjoy fine wine, great style, and female camaraderie." 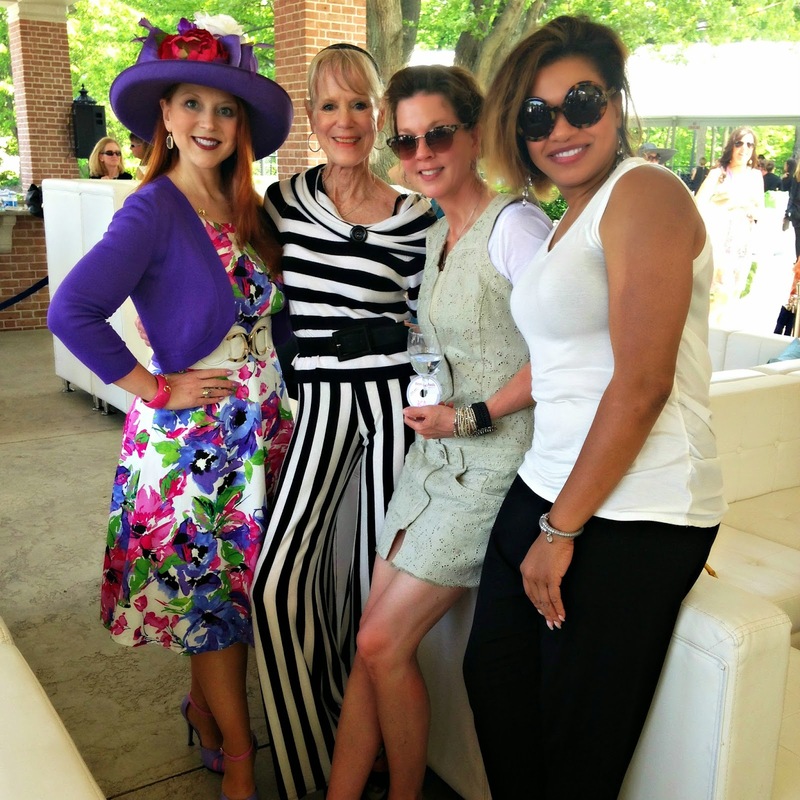 See more coverage of the Wine, Women & Shoes event by Matt Detrich and the Indianapolis Star here. That sense of female camaraderie was evident in the ready smiles that greeted me at every turn, even though I'd ventured out solo for the afternoon festivities. My purple "people" hat sparked delightful discussions with perfect strangers and led me to connect with like-minded headwear sporting souls like Christy, below, who dazzled in an ivory and black ensemble perfect for the month of May in Indianapolis. 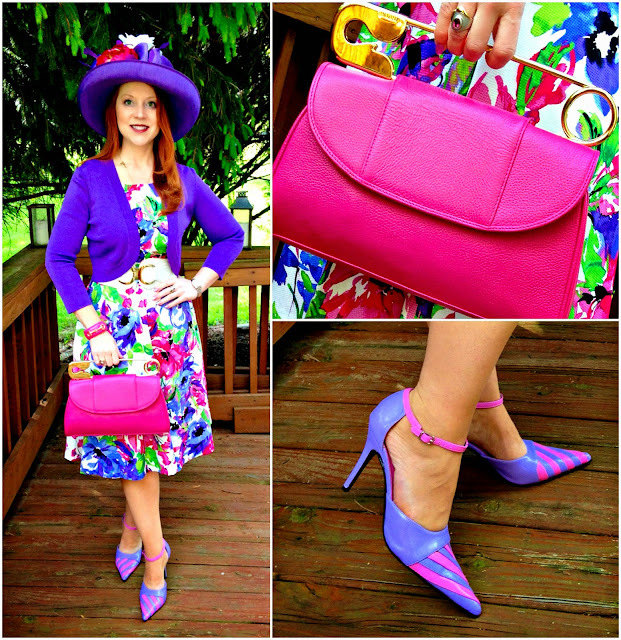 It may have been our mutual admiration for sporting chapeaus that drew us together, but a friendly text message from her on Saturday morning left an even better impression than her expertly coordinated "ladies' day out" look, and I'm looking forward to a lunch date with her next month. 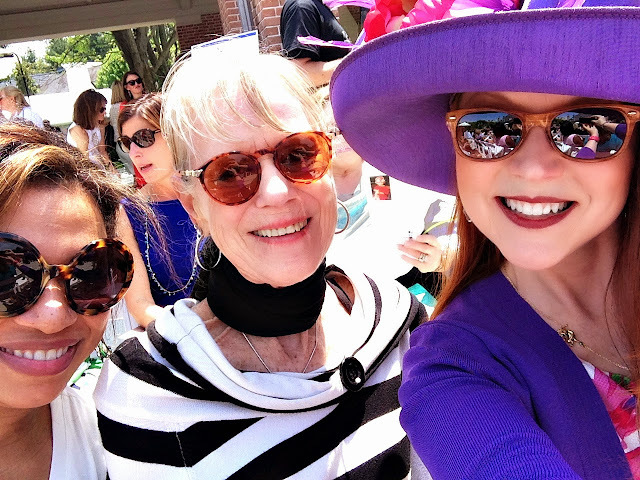 I was also fortunate to run into a number of other women I am blessed to know, including a few friends from the IMA's Fashion Arts Society ("FAS"). Coincidentally enough, it was also a love of hats that led to my initial connection with FAS two years ago when I accepted a gracious invitation from a long-time friend to attend the group's annual "Hats Off" luncheon. Since that time, I've become an active member and even chaired the 2014 luncheon. Haute heels and stylish chapeaus may seem like like little more than shallow, materialistic trappings dripping in frivolity. To some extent, they are. But, by expressing my creativity through personal style and embracing others who do the same, I've discovered women of complexity and passion, and I've developed friendships and support networks that are far more valuable than the latest Jimmy Choos. 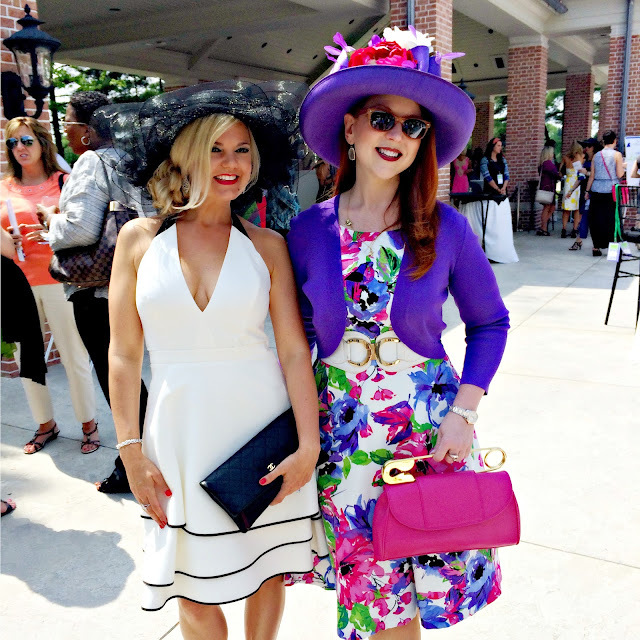 One friend whom I hold in the highest esteem I met only after she posted a photo of me on her own blog about the 2013 Hats Off Luncheon, originally identifying me only as "the woman who aced [her] out in the Hatastique category, a best of show category for the best all-around ensemble." A mutual friend sent me a link to her post, and after I reached out to introduce myself, Crystal and I became fast friends. We enjoy talking fashion and share a mutual love of vintage, but she was also a tremendous source of support during a health crisis; we've collaborated to raise money for a mutually important cause; and I cherish our conversations on challenging topics that have nothing whatsoever to do with style and "stuff." 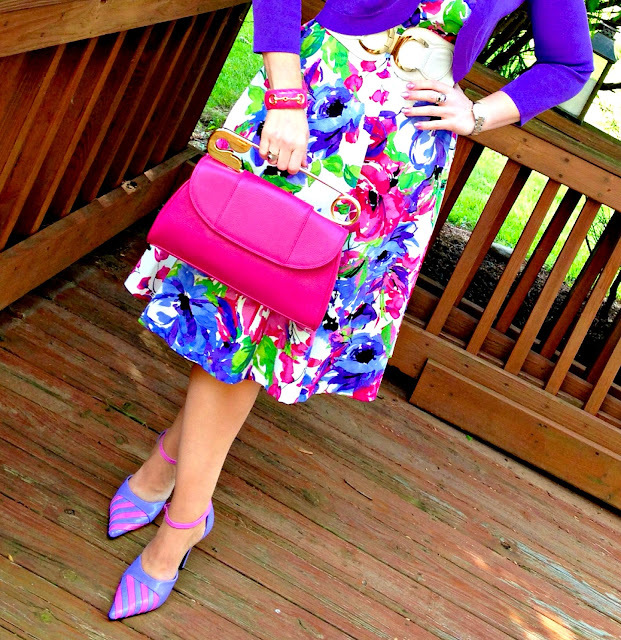 Fashion is what you buy; Style is what you do with it? ...and for a fabulous adventure in headwear, check out Hat Attack by the Style Crone. Paxtecum is a one of the best places for great deals and savings on authentic brand name items from designer bags, jeans, shoes, tshirts and more. Shop Now!